Minoan Lines is a well-established ferry operator in Greece, serving for years the routes from Piraeus to Crete and from Italy to Greece. This year, Minoan Lines has expanded its routes adding the Cycladic islands to its portfolio of destinations. After Milos, Minoan Lines added a daily route from Heraklion to Santorini and Mykonos, served by the newly acquired ferry named Santorini Palace. The islands of Santorini and Mykonos are the busiest islands of the Cyclades. 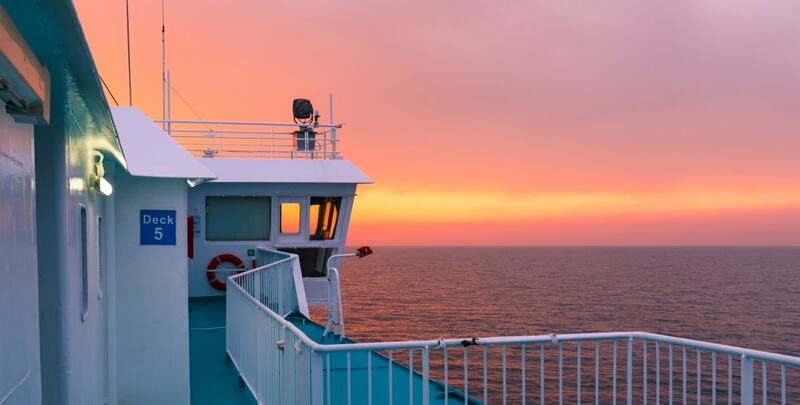 And of course, ferry connections from Crete to both Santorini and Mykonos are highly valuable. This year Minoan Lines has decided to operate its high-speed vessel Santorini Palace in this route. There is a daily itinerary from Heraklion to Santorini and several itineraries per week to Ios, Paros, and Mykonos. 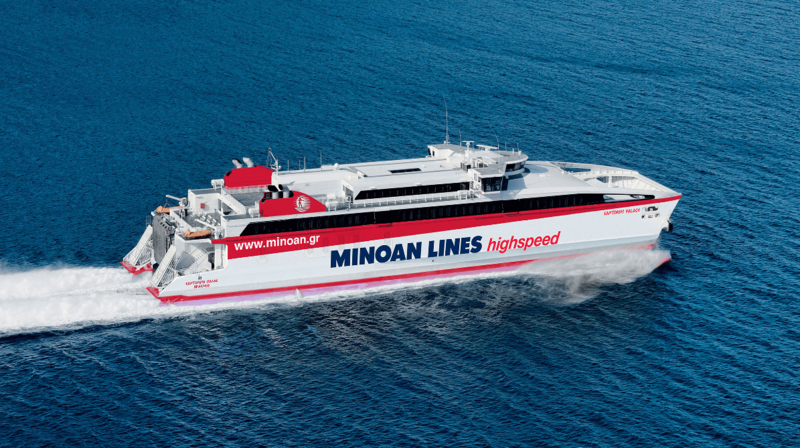 Although Santorini Palace is the largest and fastest high-speed ferry connecting Heraklion to the Cyclades, there are also other companies as Seajets, Golden Star Ferries and Aegeon Pelagos that operate on this route, connecting Crete to the Cyclades. You may search for all the available itineraries and book your ferry tickets on Ferryhopper. The schedule of Santorini Palace is quite standardized, departing at 09:40 from Heraklion and calling at Santorini at 11:40, while it returns back from Santorini at 17:45, arriving at Heraklion around 19:30. During the period 25 April 2019 - 14 May 2019 and 7 October 2019 - 27 Oct 2019, Santorini Palace will be traveling on Tuesday, Thursday, Friday and Sunday. On Tuesdays and Thursdays, it will just call Santorini, while in Fridays and Sundays, apart from Santorini it will also call Paros and Mykonos. Sunday: Heraklion, Santorini, Paros and Mykonos and return. The ferry is also calling Ios on its way back to Heraklion, but not when going to Mykonos. How can I book my ferry tickets from Crete to Santorini, Mykonos and the other islands?